This pay day post is all about treating yourself! You've got $100 left before pay day so why not treat yourself to a little last minute buy. 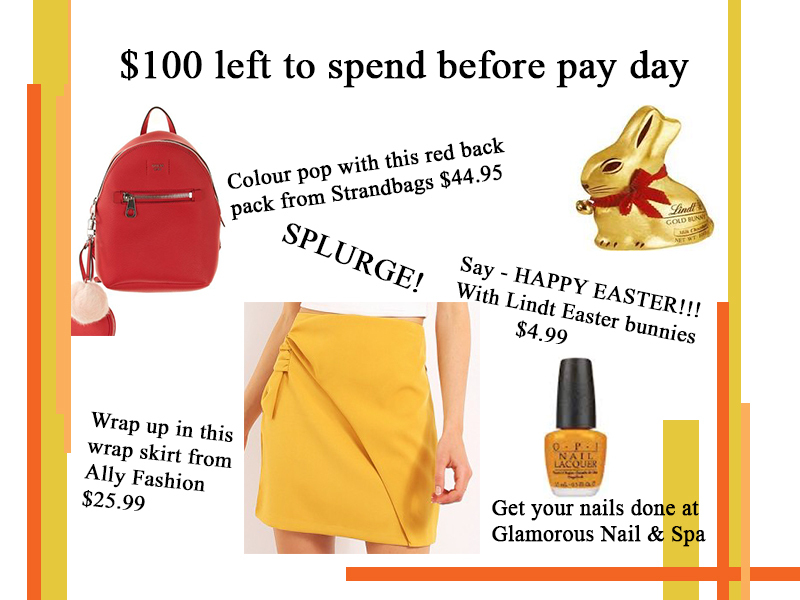 Check out our picks from the Canberra Outlet Centre! They have great brands at great prices perfect for a EASTER treat before pay day.